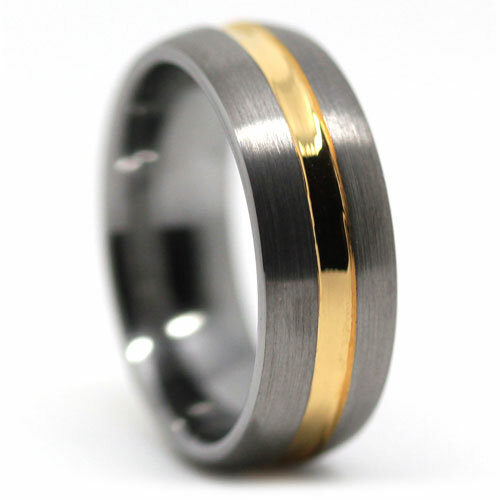 This design features a brushed tungsten dome band with gold inlay. Tungsten and gold are a perfect match, but since gold is a soft metal it’s important to protect it. This design protects the gold by plating a lowered centerline groove. The gold centerline is 2mm wide.